Want it by Thursday 25th April? Order within 23 hours, 48 minutes and choose Next Day Signed For (Special Delivery) at checkout. 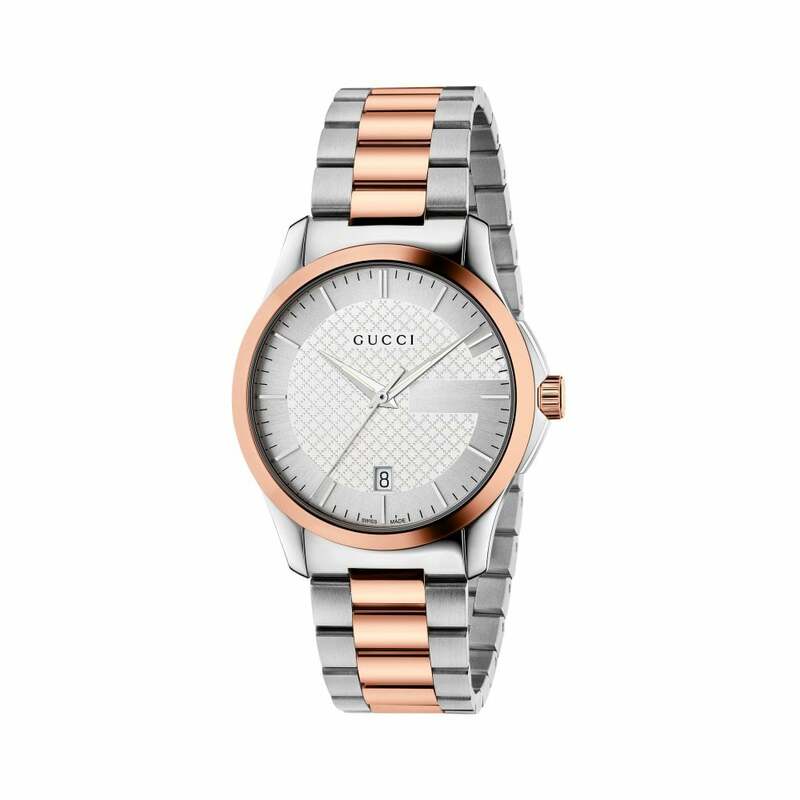 Gucci Gent's G-Timeless watch, swiss quartz movement, two tone stainless steel and rose gold PVD case and bracelet, silver dial, date window at 6 o'clock and sapphire glass. Comes with official Gucci box and 2 year guarantee.